China says it wants to open its economy more to the rest of the world, but Beijing keeps a tight grip on technology and access to media. These 11 items are still off limits. 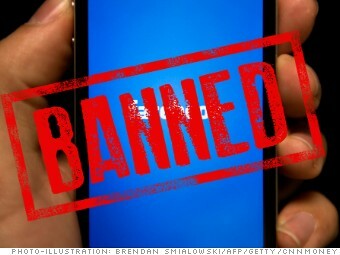 China turned out the lights on Facebook (FB) in 2009, and there are no signs that Beijing plans to restore access to the U.S.-based social media platform. Some analysts trace the ban to riots that broke out in July of that year between Muslim Uighurs and Han Chinese in the northwestern province of Xinjiang. Founder Mark Zuckerberg has visited China a number of times -- even shaking hands with President Xi Jinping -- but Beijing hasn't reversed course.